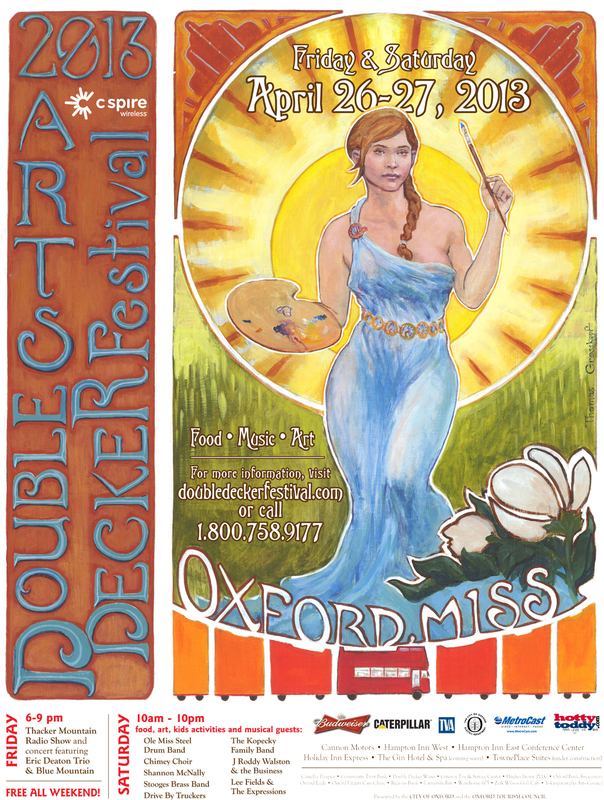 In addition to all the events going on in Memphis, there also will be a considerable amount of arts and music fun at Oxford’s Double Decker Arts Festival, which begins Friday and continues Saturday. The line-up includes Shannon McNally, The Stooges Brass Band from New Orleans, Lee Fields and the Expressions, the Drive-By Truckers, and Hill country bluesman Eric Deaton. A complete music schedule can be found here: http://www.doubledeckerfestival.com/music.html.